Signal conditioners encompass a broad range of devices that perform a range of functions on the signal at their input terminals. They can be extremely useful for enabling sensing and control devices that would otherwise have incompatible signal specifications to work together. The number of available variants is extensive, covering almost every conceivable input and output combination. Action Instruments, a Eurotherm brand, manufactures a range of I/O signal conditioning products for industrial process measurement and control. They identify six major functions of signal conditioners, and I provide them here, almost verbatim, from one of their useful technical articles. Isolation: A ground loop can occur if more than one ground connection is made to a single control signal. Because grounds are seldom at the same potential, an unwanted current will be generated and interfere with the control signal. Signal isolators break the ground loop current path and maintain the integrity of the measurement. Signal Conversion: Industrial applications use a wide array of sensors to measure temperature, flow, length, speed, frequency, etc. These signals may then need to be converted into a form usable by the instrumentation to which they are connected. Any sensor signal (thermocouple, RTD, DC voltage, DC current, AC voltage, frequency, resistance, etc.) can be converted to any standard process signal. Noise Filtering: Isolators incorporate low pass filters that eliminate high frequency EMI/RFI and unwanted signals from power lines, generators and motors. Linearization: Many sensors output a signal that is not linearly related to the engineering value being measured. For example, a thermocouple used to measure temperature has a nonlinear millivolt output. A thermocouple input signal isolator translates this to a standard, robust linear signal such as 4 to 20mA. Limit Alarms: Limit alarm units take in a process signal and compare it to one or more setpoints. They then provide an output signal, usually a relay contact, when the signal crosses the setpoint. Math: Isolators that can perform addition, subtraction, multiplication, division, square root, and averaging. There are a number of considerations when selecting I/O signal conditioners. Share your process signal requirements and challenges with knowledgeable specialists. Combining your process knowledge with their product application expertise will deliver effective solutions. 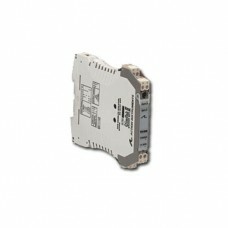 I/O Signal Conditioning Products - Eurotherm Action Instruments from Hile Controls of Alabama, Inc.